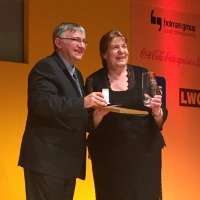 Jacqui Cattle, the College’s Deputy Front of House Supervisor, was awarded Bronze in the ‘Food Service Skills’ category at the 23rd Annual TUCO (The University Caterers Organisation) Skills Competition at Warwick University last month. This two-day annual showcase for the culinary talents from within Higher and Further Education was held at the end of March at Warwick University’s Coventry Campus and comprised 19 categories ranging from bar skills to street food chef, with prizes for, among others, best specialty cocktail and best bread display. Jacqui earned Bronze in the Food Service Skills category after a tough competition in which a representative of Warwick University was placed first and the University of Birmingham took home silver. 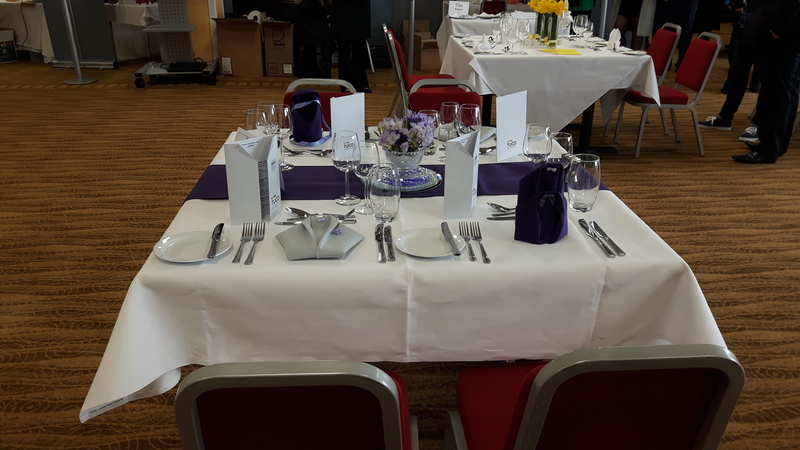 As part of the Food Service Skills competition Jacqui had to design a table theme of her own choice with 4 different napkin folds and a menu. She served a three-course lunch with wine and had to have good knowledge of both wine and food and their potential allergens. Jacqui's award includes a week's work experience at chef Raymond Blanc's two-Michelin-star Le Manoir aux Quat'Stations restaurant in Oxfordshire. 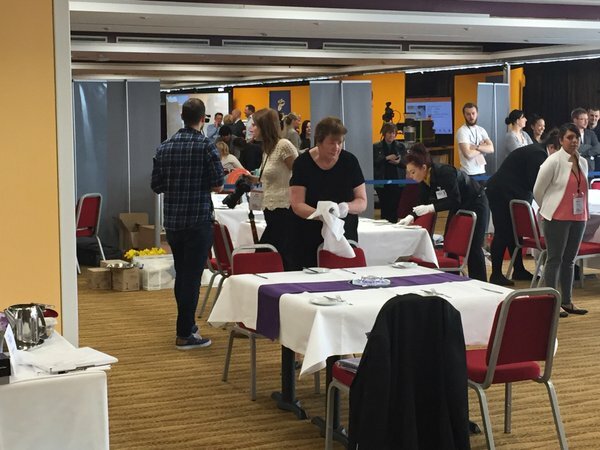 Jaqui said: “I very much enjoyed all aspects of the competition from designing the table theme and menu to using QR codes with Rob Clarke (Fitzwilliam Catering Manager) and Gavin Flack (Fitzwilliam Deputy Head Chef) to record the food and wine allergens. I hope to attend the competition again next year”. The 2016 TUCO Competition concluded with a spectacular gala dinner in which this year’s winners were announced. Jacqui and Rob, along with other members of the University of Cambridge team, were treated to a tasty menu, the highlight of which was an individual joint of roast sirloin carved by each table’s own chef.